Barn Door Hardware is the Great!!! Barn Door Hardware is stylish, functional, useful, and very attractive to the DIY community. There are many different suppliers of Barn Door Hardware, unfortunately there is maybe 2 companies that make Quality American Made Barn Door Hardware. 95% of the companies that you see on the internet buy their hardware from overseas. They purchase in bulk from a series of manufacturers that supply the same 5 or 6 different designs that are not made very well. I have even found a company in Canada that passes off imported hardware from China to the United States as Canadian hardware knowing that Americans would rather buy Canadian that Chinese. At Door Hardware Products, we only sell the very best Barn Door Hardware from the very best American Made Supplier we could find. Rustica Hardware is a barn door manufacturer that does not stock barn door hardware, They build every piece custom for you. 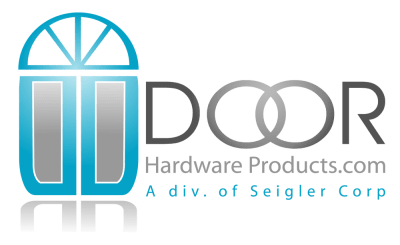 This company takes typically 4 to 6 weeks to make your order but when it comes you know that it is quality hardware, made in the United States just for you. Rustica is more expensive than most companies but we have found that, people that care about quality of there hardware…….only care about quality. They have hardware from $300.00 to $3500.00. They have more designs, colors, finishes, and combinations than can be listed and every piece of metal is custom made for you. I did not believe it until we put in our first order but they stock very little. and have 200 to 300 employees that make everything when you order it. This company is Awesome!!! We cannot possibly stock every piece of hardware they make. But we have chosen a few of there designs to stock, so that you don’t have to wait 4 to 6 weeks to get them. So browse thru our selection and if you think Rustica Hardware is right for your house then you can order from us and you will not have to wait to have the best barn door hardware in America. This entry was posted in Barn Door Hardware and tagged American Made, American Made Barn Door Hardware, Barn Door Hardware, Rustica Hardware.